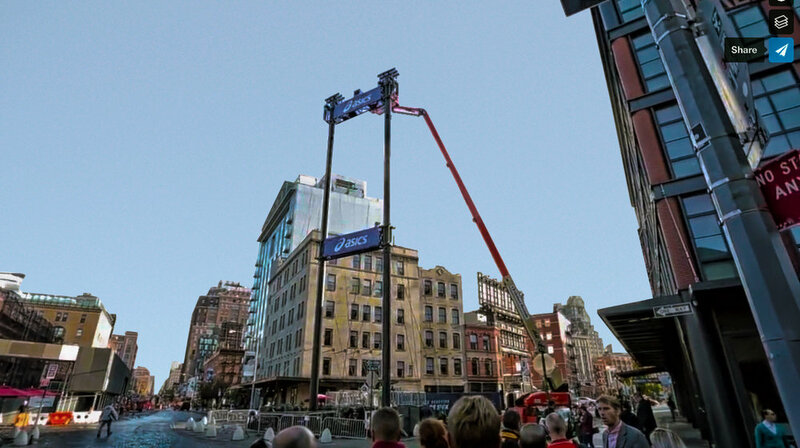 Grandesign teamed up with Asics again for yet another headline-worthy activation: a 90-foot-tall selfie stick at the 45th annual New York City Marathon. The world’s tallest selfie stick ever, in fact. Participants walked up, placed their phone in, and hit the big red button to send their phone sky-high. When the phone came back down, the participant had a short video to be shared on Twitter and Instagram with “#GoRunIt”. Hundreds of photos were taken, and thousands more impressions were made. Adweek even took notice of this Grandesign activation.